Can you believe Chicago's weather? It was in its 70's last week and now it is in 40's and 50's and raining too. With such a weather, it is really very difficult to get up early in the morning. I have to cuddle for some more time before getting up. This makes me sleepy throughout the day. Not only this, but it also makes me crave for snacks and hot tea/coffee. Nothing can match the feeling of sitting in the balcony, watching the rain and having snacks and tea. You might have already guessed what I made by seeing the title. Yes! I made the famous, scrumptious Masala Vada to go with a hot cup of tea. The smell of Masala vada is unbeatable. In India, roadside shops makes this vada and when you pass by that street, you will be tempted and lured in buying some, even if you are a neat freak. It is that much tempting. Why buy outside when you know how to prepare it at home. Lets enjoy some delicious and hygienic Masala vadas! Soak the channa dal for 6 hours. Grind the dal coarsely along with Salt,red chillies,cinnamon stick and cumin seeds. Now mix all the other ingredients. Take small amount of the mixture, make a ball and press it to become flat with the help of your hands. This is a very crispy vada when ate hot. You can store it in an air tight container for 5-6 hours to maintain the crispness. hot masala vada and tea is the perfect thing for a rainy afternoon!! Perfect for the windy cold evening with a mug of hot milk or payasam... Looks perfect! Hot vada and a cup of tea on a rainy day.. What more to ask for? Wow love hot vadas and tea on a rainy day. Yumm. A treat indeed. Would love to try these! If I had to have masala vadais (which I love) every day it rains... darling, I will be eating them every single day here! Try baking them the next time with the same batter the next time. It is pretty comparable. Masala vade and a cup of coffee on a rainy day...hmm thats the best thing one can ever have..
Hey Sangeeth, welcome back. You were missed. We love masala vadas at home rain or shine :-) Great way to put somebody in good mood isn't it? Good blog for masala vade lovers. hot masala vada is a delecious fast food. thanxs for giving me recipe of masala vada. Sounds great and yummy, at the same time very simple to prepare! I`ve bookmarked this page for reference. Hi, I am from Mauritius island. It is an island in the indian ocean and there are many hindus and muslims here. I checked your blog for indian recipes which we are very fond of. This recipe is that of "gato pima" we call it "gato pima" in Mauritius. and here we put a lot more chillies in the making :) hehe.. this is making me mouth watering .. all the best :) cheerz.. Useful information , great post . Thanks for sharing !! I love spicy food and the they really lookin yummy...want to try now..
Best suited for place like Uttarakhand... it rains heavily here and vadas are best to compliment it.. Excellent information on this site. Thanks.! looking very spicy.. thanks for sharing such a nice recipe. I guess putting a lot of spices in it really adds a kick to the flavor. wow peaji i love this food a lot. you are too good. I love spicy food. 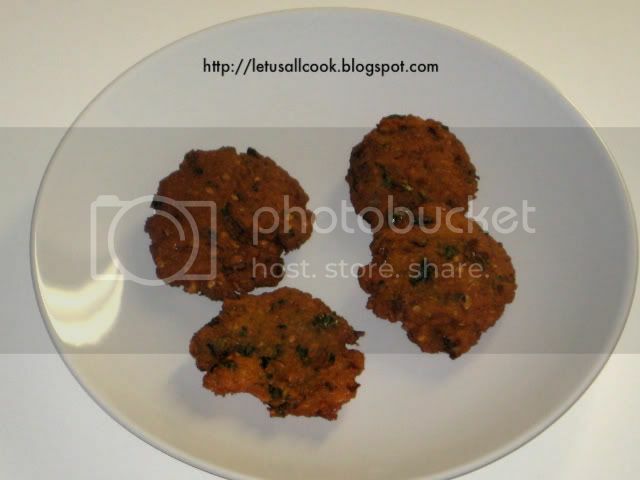 Thanks for sharing this masala vada recipe.I want to try at my home today.